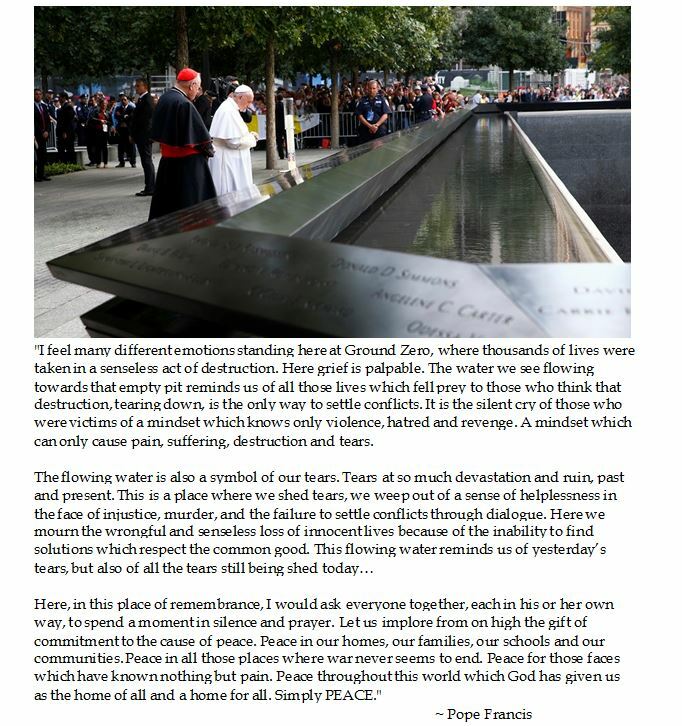 During his visit to New York City, Pope Francis participated in an interfaith prayer service at Ground Zero. This ecumenical approach continues the theme of encounter and openness to companion with others to foster the greater glory of God, which are bedrock Ignatian (Jesuit) principles. The pontiff's remarks centered on peace and sought to transform through prayer the tears of sadness into a practical resolve for peace.